Get your training done ahead of the June 1st deadline. Register today! TSCTA’s Safety Training…the most important tool in your belt. Get construction site and safety training courses to qualify you to work in the NY / NJ area. Choose from over 50 courses including OSHA 10, 4-Hour Scaffold and Site Safety Manager. √ Safety courses offered in English, Spanish and Polish. Other languages available upon request. √ Hands-on training in rigging, inspection, fall protection and suspended scaffold operation and rescue. A high quality-learning environment that I know will be there for me if I have questions. -Fabiano B. Highly recommend the scaffolding course with Leo. He brought a great energy to our course and really understands how to relate to what we face out here every day! -Doug B.
I recommend TSC Training Academy. The two instructors I had were extraordinary. They were clear, concise, and most of all professional. Thank you for the experience. -Giordano C.
Awesome, tremendous instructors and a fantastic teaching establishment. -Carl M.
Thanks again, Pastor! You're a one of a kind teacher -LJ S.
A wonderful experience! -Bananito H.
Instructor David has a great grasp on efficiently communicating information. There was no question he didn't answer. Shout out to you man, thanks. -Miguel C.
TSCTA is a top-notch establishment if you really want to learn safety. Be sure to go here for all your construction training needs. -Benito P.
I took my OSHA 30HR with TSCTA and it was worth every single penny. Their facility was pristine and the instructors, David and Denio were simply a wealth of knowledge. I would go back to them again! -Christopher J.
Pastor was an incredibly engaging teacher integrating humor into the learning process that got all 30 of us involved. It was a wonderful two day experience! Thank you Pastor, TSC and all. -Kevin F.
Some of our staff had taken training elsewhere and found TSCTA’s training much more comprehensive, practical and in-depth. 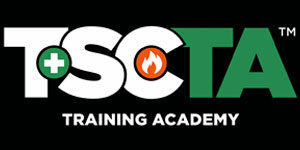 We have exclusively used TSCTA for our scaffold training for years and have never been disappointed. I took the 8-Hour Supported Scaffold Refresher Class; the class covered the scaffolding topics in an informative and engaging manner. I will take future classes with your facility. Our class was engaging and dynamic, allowing my employees to absorb and retain a lot of important information after a long day in the field.